We aim to establish a technology system that efficiently uses high protein grass in order to promote labor-saving, low cost, high quality of milk production towards improving the profitability of dairy farming. In addition, we will build technology for value added dairy product development in cooperation with other groups related to self-sufficiency concentrated feed production, grazing or grassland management, dairy cattle management, agricultural management etc. utilizing high nutrition grass. 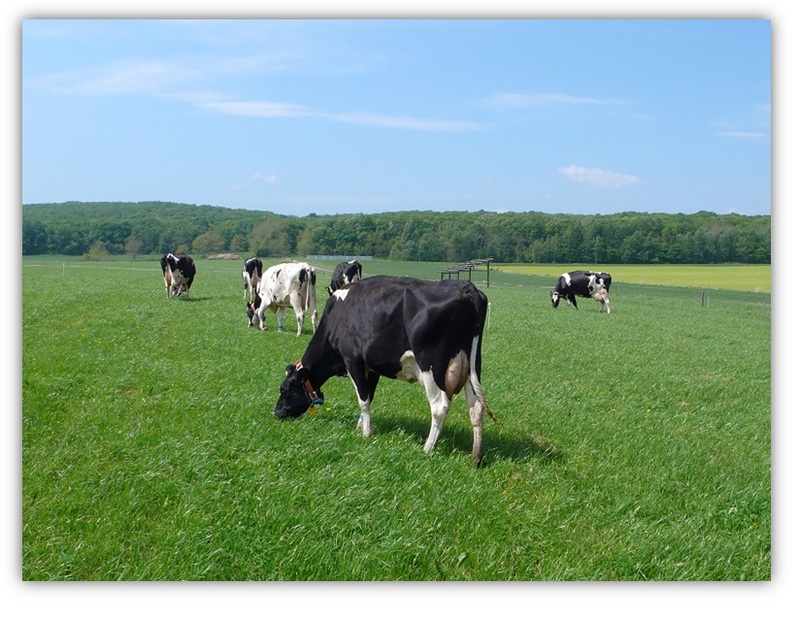 Also, in collaboration with the Grassland Management Group, we are investigating the method of using orchard grass and rye grass mixed pastures to produce high-quality silage with high feeding ability of dairy cows and to improve milk productivity from pasture. Regarding grazing, we are pursuing research for grazing milking cows efficiently with a smaller number of paddocks for large and slope areas while also considering about the expansion of number of cattle raised by dairy farmers. In addition, we are examining the relationships between the feed to be eaten by grazed milking cow and the fragrance ingredient of milk, and according to the amount of herbage intake, the content of diterpenoids, especially phyt-1-ene in milk will be higher. We are also currently conducting research on the relationship between the smell of milk and the deliciousness that people feel.